This WordPress site gives fans, industry, and colleagues the skinny on one of the finest up-and-comers in Hollywood. The site is built to make everything important to these various groups as easy to find as possible. 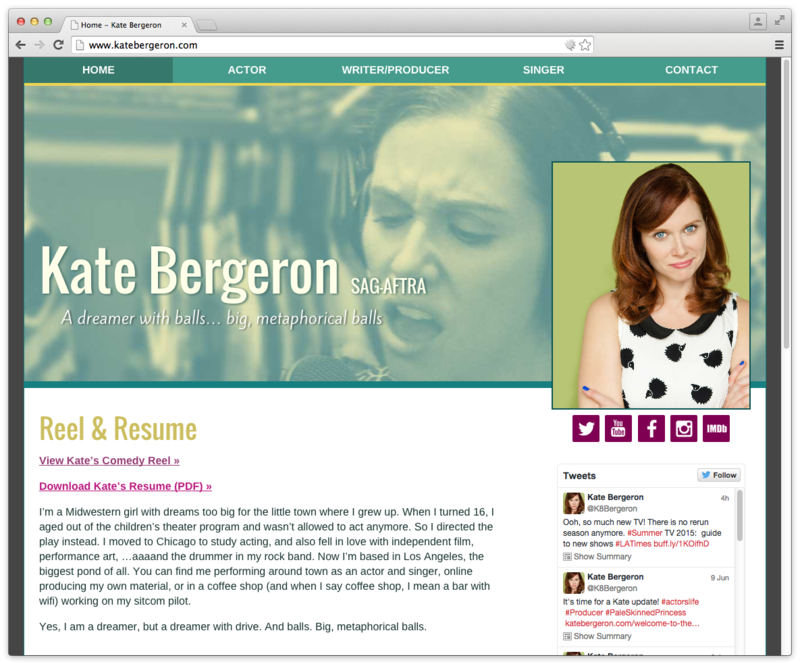 Kate Bergeron is a skilled and talented actress, writer, and singer, and this website shows off her talents in a no-nonsense, efficient, but also enjoyable way.